If you plan your holiday as a group of middle-aged persons without kids on your cruise, you should have one goal only: to relax and enjoy one hundred percent! Your cruise should be a combination of nice towns, beautiful beaches, picturesque bays, and astounding islands. One good option is to ask for interesting ready-made routes. Gulets are perfect for relaxation and sunbathing. The vessel does not have to be huge, but it is very important that it is clean and that crew knows one hundred percent what it has to do to meet your expectations. If your group consist of couples, it is a good idea to avoid gulets with separate twin bed cabins. 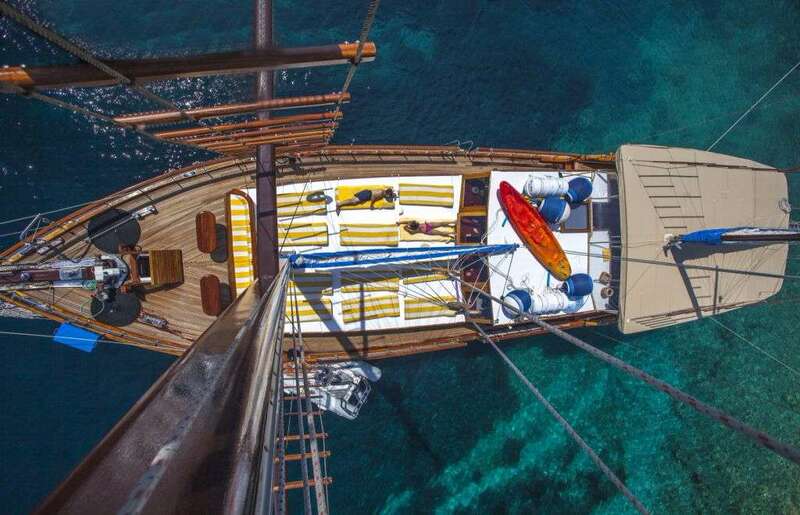 With a gulet you can visit a couple of beautiful secluded bays every day, get away from the crowds and enjoy the amazing spots. 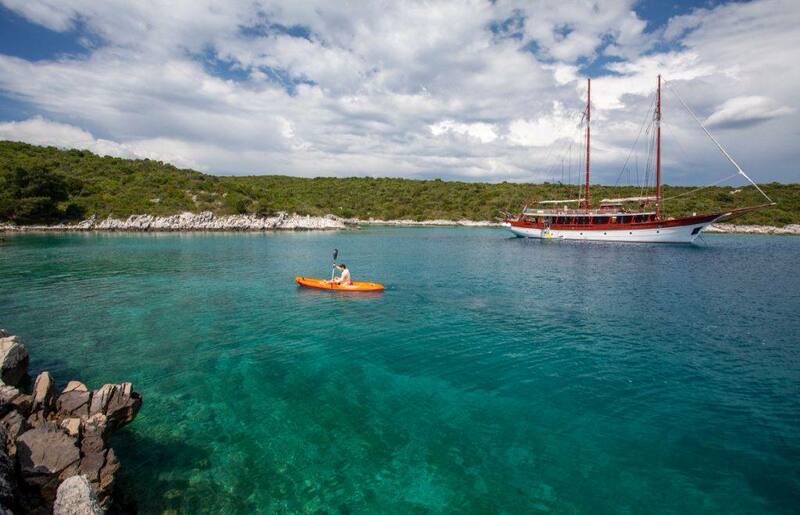 Water sports are a nice addition to the gulet cruise experience. Ask for water skiing or canoe. 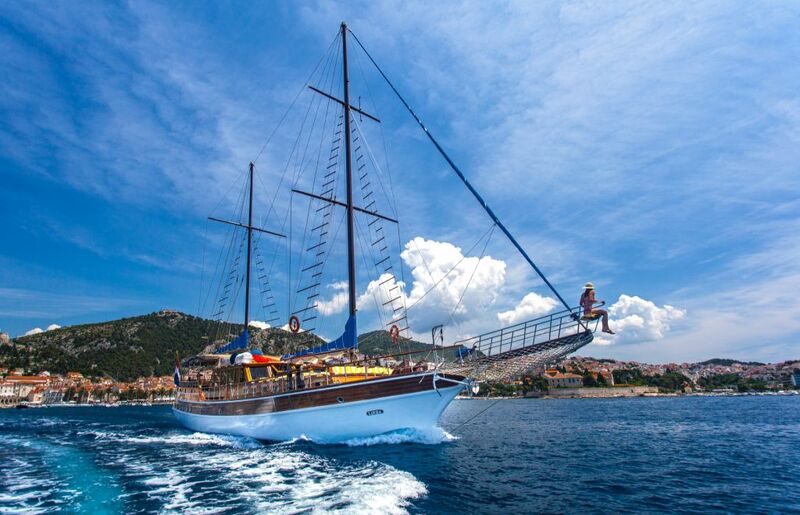 Cruising with a gulet you will have the flexibility to take longer trips ashore, explore Mediterranean cities and try their local cuisine, do some sightseeing or shopping, go biking, and enjoy nature. Food and drinks are a very important part of the cruise. Note your food preferences in advance. It is recommended to book half board arrangement only (breakfast and lunch) and go ashore for dinner in the evening. 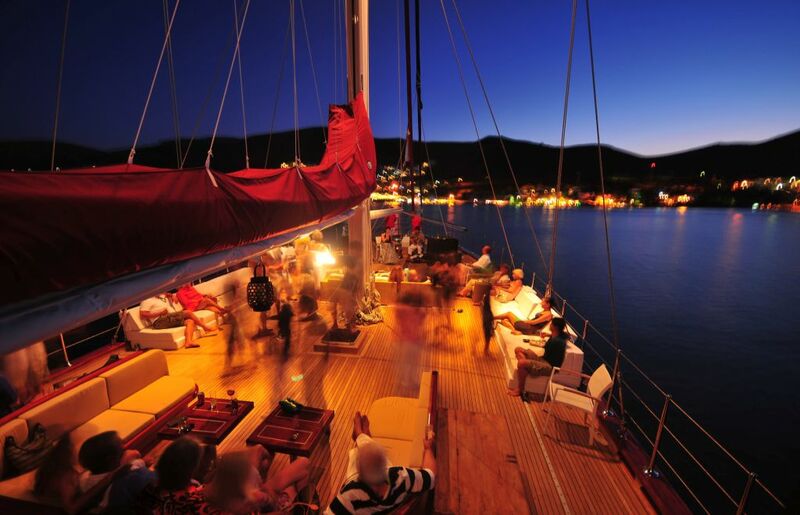 Although you should still try dining on board the gulet under the stars in some secluded bay. It is an amazing experience. If you are not fond of crowds, you can choose this option for the whole cruise. Eighty percent of the time our middle-aged groups were the most satisfied when the food was amazing and bar didn’t close too early or run out of drinks, and when the route was interesting with lots of different places to visit and things to do. Variety is very important. Experience is everything.